It is rare that a blockchain venture genuinely needs to exist and solves a real-world problem. Connecting to WiFi networks today is burdensome and unsafe. 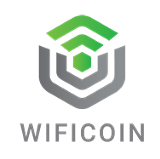 Wificoin provides a desperately needed solution and will forever change the way we surf the internet.